Activities start at 7:30 a.m. – 5K start 9:00a.m. May is Trauma Awareness month. 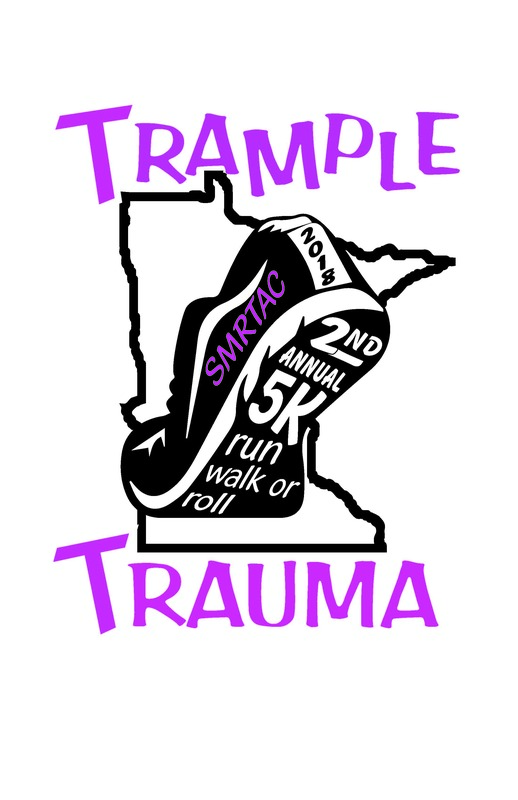 In recognition of trauma survivors and in memory of those who lost their life due to a traumatic event, SMRTAC hosted our 1st Annual 5K/2K Run-Walk-Roll in 2017. THANK YOU to all those who participated, volunteered, and sponsored our event. We are now well on way in planning for our 2nd Annual 5K/2K event for May 12, 2018. Please contact us if you are interested in sponsorship, volunteering, or simply want to participate. Your 2017 donations are at work right now, creating opportunities for Bleeding Control (BCON) courses across our region as well as supporting the training and supplies necessary to hold courses in our communities. Thank you to our 2018 volunteers who assisted in a variety of ways: set-up, course marshals, registration, booths, parking monitors, food/beverage disbursement. There are so many pieces that go into this and we couldn’t have done it without you!